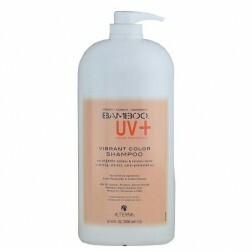 - Extends the life of your color. 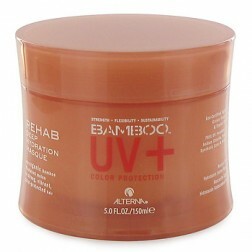 Alterna Bamboo UV+ Color Protection Fade-Proof Fluide Gloss combines strengthening pure Organic Bamboo Extract with color-locking damage-locking Kalahari Melon Extract. This serum contains rinse resistant Color Hold UV+ Technology for the highest level of color protection. FREE OF sulfates sodium chloride parabens gluten TEA DEA & phthalates. Their production & sale aids in supporting the development of local communities while remaining environmentally friendly. 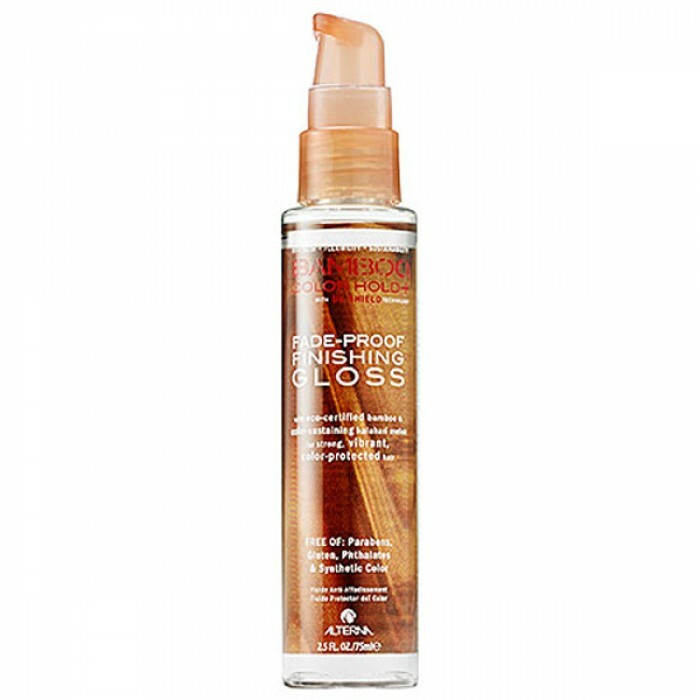 Apply several pumps evenly to towel dried hair. Style as desired. 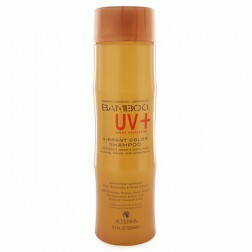 Can also be applied as a protective shine enhancing finisher after styling. Cyclopentasiloxane Dimethicone C12-15 Alkyl Benzoate Phenyl Trimethicone Isododecane Dimethiconol Caprylic/Capric Triglyceride Ethylhexyl Methoxycinnamate Helianthus Annuus (Sunflower) Seed Oil Wasabia Japonica Leaf Extract Tocopheryl Acetate Polysilicone-15 Polyquaternium-10 Phospholipids Moringa Pterygosperma Seed Oil Cyclomethicone Silanetriol Melaninate Octyldodecanol Helianthus Annuus (Sunflower) Seed Oil Citrullus Ianatus (Kalahari Watermelon) Seed Oil Kaempferia Galanga Root Extract Glycine Soja (Soybean) Oil Retinyl Palmitate Ethyl Oleate Superoxide Dismutase Ethyl Linolenate Ethyl Linoleate Bambusa Vulgaris Extract Bromelain Arachidyl Propionate Lecithin Papain Citronellol Geraniol Hexyl Cinnamal Limonene Linalool Fragrance (Parfum).